The 2018 FORMULA 1 SINGAPORE AIRLINES SINGAPORE GRAND PRIX returns to Singapore! We’ve made it easy for you to book a Grab ride to or from the race grounds, simply key in F1 Singapore 2018 Gate(number) and select your pick-up or drop-off location nearest to the gate for a seamless experience. As the event will be flooded with F1 enthusiasts and exits may be jam-packed, Grab recommends all users to be ready at their pick-up locations before booking for a ride. 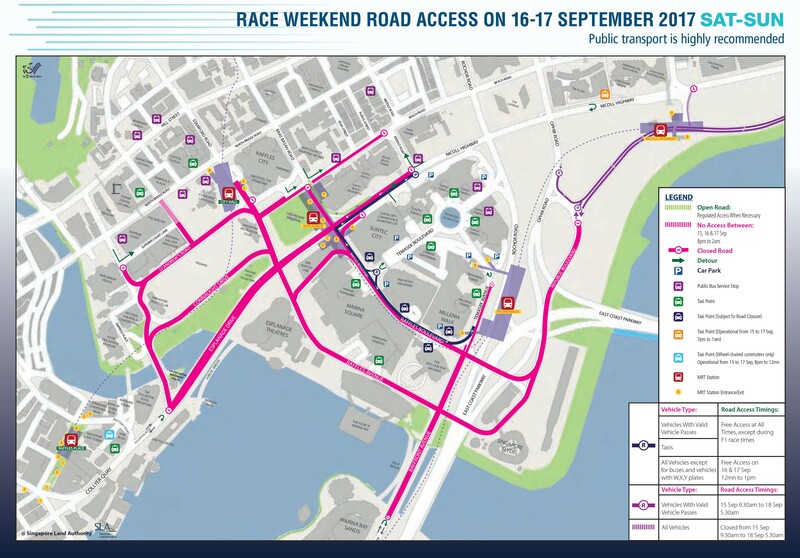 If you’re a driving down in your own car, do also take note of the roads highlighted in the map below, as they’ll be closed during the race days weekend, 15-16 September. 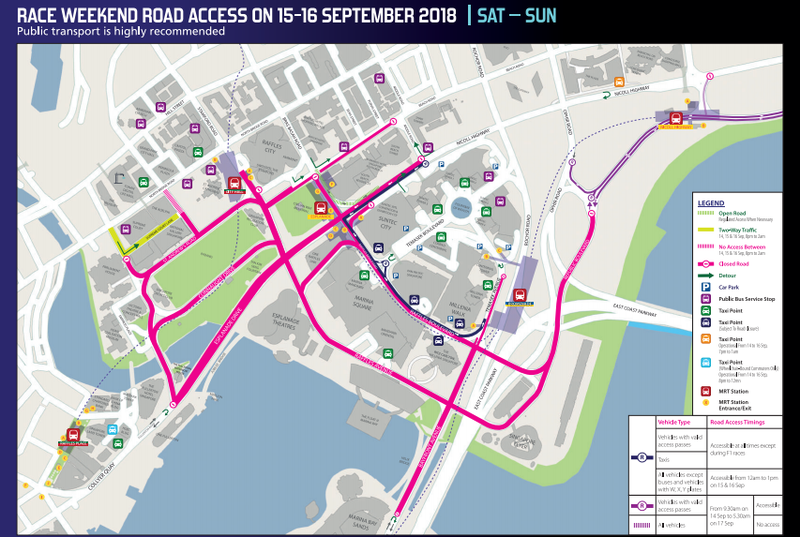 For info on 2018 FORMULA 1 SINGAPORE AIRLINES SINGAPORE GRAND PRIX road closures before and after the race, please click here.